Whisk eggs, milk and cinnamon until combined. Heat a non-stick fry pan and melt margarine. Dip bread into egg mixture and fry gently on both sides for about 2-3 minutes. Add berries to a small saucepan, add sugar and bring to a gentle simmer, be mindful not to overcook the berries. 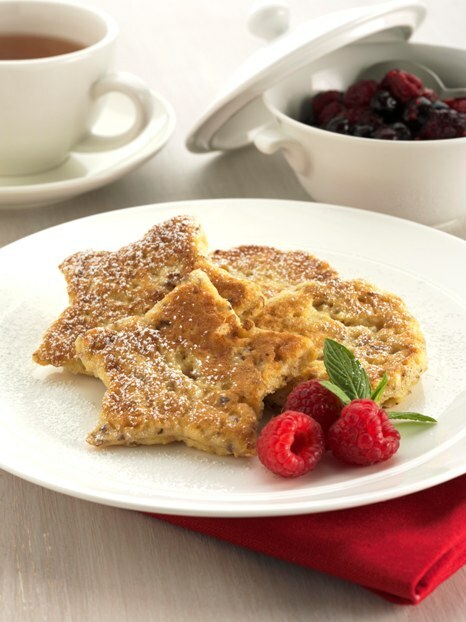 Place French toast on to plates and serve with berries. Cut bread into different shapes using a cookie cutter.